I enjoy writing and reading romantic comedy. 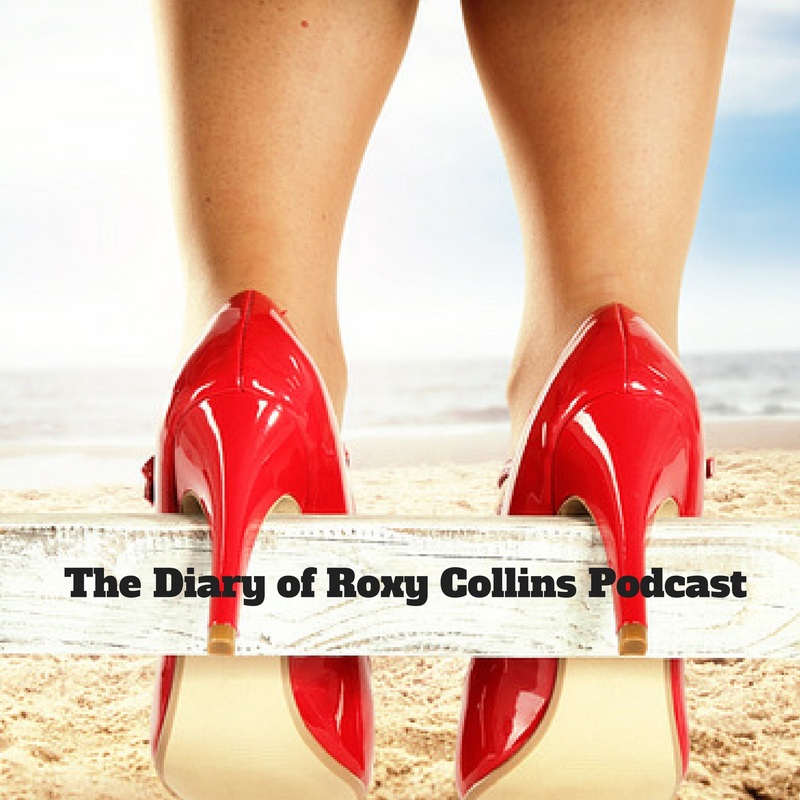 I have written The Diary of Roxy Collins series and turned it into a fictional comedy podcast (live on iTunes and SoundCloud) which has to be one of the most enjoyable things that I have done as a writer. Plus this week I am starting work on the second draft of my debut novel ‘Instructions For Falling In Love Again’ – which has gone down really well with my reviewers. So I thought it would be good to celebrate this fab literary genre and record all the reasons why I love writing and reading romantic comedies. As a writer getting two emotionally incomplete characters to overcome comedy obstacles, endure testing personal situations and unite romantically by the end of a novel can be a pleasurable challenge. Romantic comedies are a form of escapism. For a couple of hours I get to dive into a story filled with laughter, tears, waves of delicious sexual tension and a guaranteed happy ending. Sigh! They bring out the inner hopeless romantic in me. I hate surprises. So I like knowing when I start writing or reading a romantic comedy that love will triumph at the end and the right two people will get together. I love the sexual chemistry between the two main characters. I like the way the characters try to deny their feelings for each other, keep a lid on their secret desires and cast some smouldering gazes. I like the ‘feel good’ factor they bring. After a bad day where nothing has gone to plan, my hair has not looked right, I have felt fat, frumpy and my hormone levels are off the scale I can read or watch a romantic comedy and feel a lot better. I love reading and writing comedy situations. I love crying with laughter at a character’s mishaps. I think its because my life seems to be full of unexpected comedy situations where I do or say the wrong thing. I think this is why I love my character Roxy Collins so much. The episode where she goes on a date with Kevin plumber and has some unexpected issues with her contact lenses mid date, which brings on absolute chaos, is fab! Romantic comedies make you believe that anything is possible. Life changing romantic moments always happen in the rain or the snow. I was on the edge of my seat when Bridget Jones ran after Mark Darcy in the snow. They are cheesy and riddled with cliches! As a reader and a writer I am attracted to cheesy stuff and cliches! Romantic comedies are the modern fairytale. They have pretty book covers. Sigh! I love reading about others experiencing mayhem and chaos. I love the ‘post romantic comedy’ daydream where you stare into space and wonder what the new fictional couple are doing now. Did their relationship work? What was married life like? I have had many messages from my Wattpad Roxy fans telling me that they are suffering from these daydreams and are keen to know how Roxy and Marcus are doing. I love how you can get totally carried away with reading and writing a romantic comedy and find yourself in floods of tears. There is nothing quite like a good tear jerker! As a writer I love how I slowly start to morph into my female characters. You would not believe how many fake tan disasters I have had since Roxy hit iTunes. Think I need to go lie down in a darkened room after creating this list. Completely agree. Can’t wait to read your book! I’m totally with you on this one! I love to write the same…. And I created my own genre… Chick-pea Curry Lit – rom com chick lit with a, Indian twist!!! That’s awesome – I want to read and eat that! Ha lol!!! I’m a long way from finishing!!! As a tough, macho guy, I don’t really read or watch romantic comedy. Except when my wife makes me. I love to watch movies like that, but I usually don’t read these types of books. I think #4 says a lot. I’ll admit I’m not a rom-com kind of gal but when I do turn to this genre, it is to seek the comfort of predictability. I envy you so much! Comedy is REALLY hard to write so if you do it well, fair play to you! Hey Icy, thx so much 🙂 If I could do YouTube as good as you I would be happy. Been trying to do my first video and its soooo hard!!! Podcasting is a breeze compared to this! How do you do it? I just chatter 🙂 That’s what I do when I’m teaching and it seems to work! Hey Phoenix Grey – you don’t know how great it was to see a friend listening in on SoundCloud. Felt like someone was in the audience. Thank you! Hey Lucy, it’s Tania from Soul Sense Coaching stopping in to say hi from Blog Pitch Party. I have recently discovered historical romances and I’m hooked. I’ve never been a romance reader but it is such fun and I love the no surprises part to . Who can resist a happy ending, I ask you! I think I need to get hold of your Roxy, it sounds right up my alley. Hey Tania, so glad you have popped across! Would love you to sample Roxy – let me know thoughts 🙂 happy Tuesday!